AND OUR GARDEN SAYS IT BEST! In late fall Ashley notice the “sea” of lettuce seedlings covering the garden floor. She and Isaac placed straw bales, like fortress walls, around the “sea” and topped it with some old window sash that Ken had in storage. The sun warmed it by day and the bales held the heat by night. 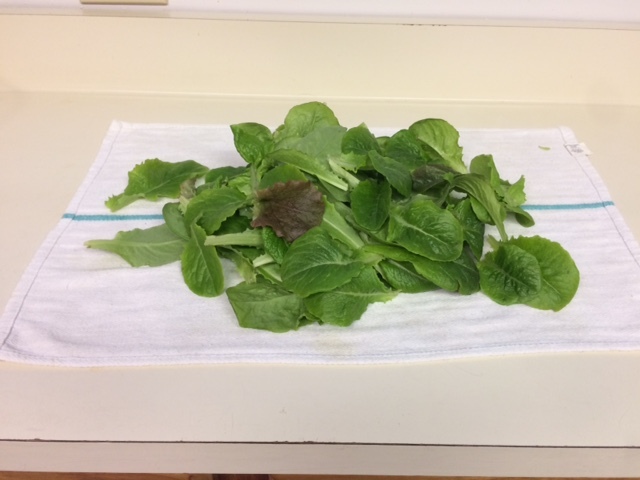 In January we peaked inside to find the lettuce had grown slowly from the seedling stage but it had grown. 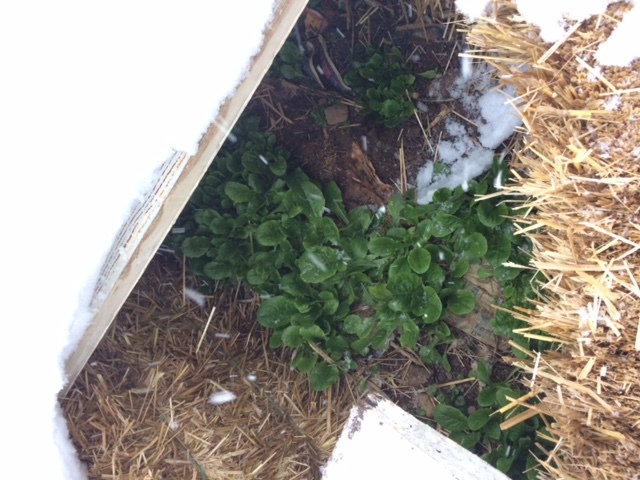 But it was appropriately at Valentines day that the garden showed it’s “Lovin’ ” Ashley harvested the lettuce by removing the snow covered windows. It was and amazing sight. 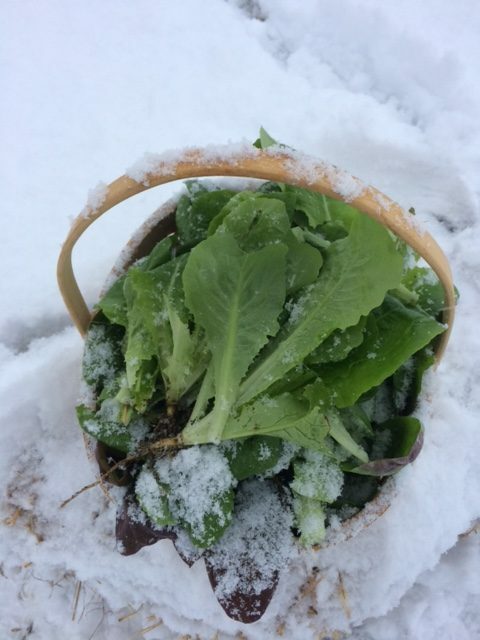 Fresh lettuce from the garden piled high in a basket on a cold and snowy February day. We enjoyed a fine Valentine’s dinner complete with Gram’s famous Cold Lettuce dressing topping the tender sweet lettuce. A treat usually reserved for last spring months. Easter Sunday we had the next round of salad. Since that time we have had a steady stream of lettuce from the garden. The rain saturated bales have been torn apart and have become mulch between the rows of asparagus and onion. The window sash has been placed out of sight but ready for next winter. God sets the seasons, gives us plants and seeds and the intellect to provide bounty when there normally is none. What a gift!